Education issues today to change tomorrow. United States Education: Whose Responsibility Is It? Standards and Curriculum and Instruction – Oh My! DISCLAIMER: This blog is the first in a series designed to educate and inform readers on the differences between standards, curriculum, and instruction. These blogs are not an endorsement of Common Core State Standards. We all have standards. There are personal standards, moral standards, national and community standards, standards of living, standard measurement, even military and gold standards. All of these standards establish a baseline within the respective area that we as a society collectively accept. A mile will be 5,280 feet no matter where you drive. A dollar is accepted all over the United States. Running water and indoor plumbing are requirements. While our personal standards may be different, (i.e. Lexus vs. Toyota, Motel 6 vs. Omni Hotels, McDonald’s vs. In ‘n Out Burger) our community standards are mutually agreed upon through a social contract. This includes our educational standards. By the year 2000 every state had some form of education standards in place for their public schools. Education standards are the learning goals for what students should know and be able to do at each grade level in each subject. These standards help educators ensure students have the knowledge and skills they need to be successful. Each state decides differently on which standards they would adopt for their public schools. And, it is important to note that each state still has the right to make these decisions. In Texas, the education standards are referred to as the TEKS or Texas Essential Knowledge and Skills. The TEKS were developed and implemented September 1998 in response to the growing technology needs of the state. The TEKS was originally “mandated only for foundation subjects such as math, English language arts, science, and social studies. Since September 2003, TEKS-compatible instruction is now required in both Foundation and Enrichment subject areas”. The TEKS were written and reviewed by teachers, professors, administrators, community members, businesses, and approved by the State Board of Education. 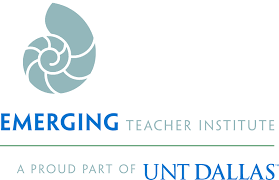 They are regularly reviewed and revised to meet the growing demands of student learning in the state of Texas. All textbooks, curriculum, lesson plans, and classroom instructional techniques found in classrooms in the state of Texas are based on the TEKS. These are some of the tools that classroom teachers use to process the complicated and bland TEKS into rigorous instruction. First, lets talk about education standards. In 2009 several (48) states got together to develop the Common Core State Standards. Please note that this was not initiated by the federal government, but by governors and state commissioners of education of their own volition. The United States Constitution does not establish a national standard or authority for education, rather leaving the institution up to each state to create and manage. This includes funding, standards, certification, and management. The establishment of the Common Core State Standards (CCSS) in 2009 is an attempt by members of the National Governors Association Center for Best Practices (NGA Center), the Council of Chief State School Officers (CCSSO) and state school chiefs and governors to recognize the value of consistent, real-world learning goals. These groups launched the effort “to ensure all students, regardless of where they live, are graduating high school prepared for college, career, and life.” In short, the CCSS were designed to create standards for proficiency in the United States that defined the expectations for each high school graduate. The creation process for the CCSS included examining standards that were in use in each state as well as international standards with the purpose of addressing student expectations for elementary school through high school. Because CCSS were developed with input from standards that were being used by some states in 2009, there is some consistency between some CCSS and the standards in states that did not adopt Common Core. This includes Texas. As such, it would not be uncommon to find similar educational standards between each state. What is the impact of the Common Core Standards on Texas? The CCSS have no impact in regard to standards in Texas. It is important to understand that the CCSS are just standards — not curriculum, not instruction, and not instructional materials. Texas has its own standards, and our standards (TEKS) cannot be replaced by CCSS without a legislated change. Having said that, you may see other elements ALIGNED with the CCSS in Texas. All of these would likely be instructional materials. Please read the article Is there Common Core in Texas? Yes, but not in the way you might think for more information on why you may see these materials. Contrary to popular belief, standards are the most transparent element we have in education. They are written and approved by each state through a legislative process. They are available online and in writing at all times. They cannot be changed without state approval. They cannot be adopted without legislative approval. Here is a table to help you understand each element in education, the accountability associated with the element, the possible impact from CCSS, and the level of transparency. Education standards are important – whether they are TEKS, CCSS, or something else. These are the fundamental goals that serve as the building blocks to all other elements of our education system. When you hear that someone is concerned about “Common Core in Texas,” ask them to clarify their concern with the understanding of what standards truly are. It may be that their true concern is about curriculum, instruction, or instructional materials. And these may represent very legitimate concerns. But it is important to understand exactly what standards are – and are not – before we can achieve meaningful dialogue about how these common goals impact curriculum and instruction. The next post in our series will address curriculum. What is it? How does it differ from standards and instruction? What are common types we see in Texas schools? DISCLAIMER: This blog is the second in a series designed to educate and inform readers on the differences between standards, curriculum, and instruction. These blogs are not an endorsement of Common Core State Standards. In our previous article we defined educational standards. In this article we show the relationship between standards and curriculum and why it is necessary for a school district to have curriculum to meet the educational standards. Does it make sense to teach World War I before World War II? Should a teacher conduct a lesson on area before showing her students what a square looks like? How many different ways are there to teach multiplication? When should it be taught? The three examples above are all expectations derived from our state standards that Texas students are required to learn. Educational standards, like the Texas Essential Knowledge and Skills (TEKS), are goals. These goals inform educators and parents about the content and skills their students are to master in a given school year. Unfortunately, these goals don’t come with a plan. We want our students to know and understand concepts from World War II but much of that lesson will be lost if World War I wasn’t covered first. It would be impossible to measure area unless we know what the square looks like. And multiplication can be taught in multiple ways for visual, auditory, and kinesthetic learners. 3.22B Use the complete subject and the complete predicate in a sentence. 4.20B Use the complete subject and the complete predicate in a sentence. 5.20B Use the complete subject and the complete predicate in a sentence. 6.19C Use the complete subject and the complete predicate in a sentence. Common sense would tell you that a teacher would not teach these concepts exactly the same at the third grade level as she would at the sixth grade level. But, teachers need a plan to know what should be mastered at the 3rd grade level to be prepare for the 4th grade level and so on. This is why school districts need curriculum. While standards are goals, curriculum is the plan to meet the goals. Curriculum is a detailed description of how students and teachers interact with specific content in a specific sequence over a school year to meet the educational standards.The execution of the curriculum, or plan, is the instruction. Standards are typically written in a plain, straightforward language and are designed to simply state a student expectation of learning. However, the standard does not explain HOW to teach the student expectation or WHAT materials to use in order to allow the student to demonstrate mastery on the standard. Standards are goals and do not specify curriculum, textbooks, workbooks, or lesson plans; all of these things are at the discretion of the district. It is good that the districts have this discretion. They each have different needs and need to have the ability to determine what curriculum would best meet those needs. Research has shown that one of the most effective tools in successful schools is a guaranteed viable curriculum. A guaranteed and viable curriculum is one that guarantees equal opportunity for learning for all students and adequate time for teachers to teach content and for students to learn it. District curriculum is a large body of work and it takes trained educators to ensure the that a curriculum is guaranteed and viable. Educators who write curriculum must be familiar with the state standards, understand the conceptual development of subject matter over several grade spans, and have adequate time to plan and write the curriculum. Often, the process includes master teachers who meet over the summertime, evaluate the current curriculum, suggest changes based on data, and then train colleagues on the new curriculum when school begins. Unfortunately, many of the districts in Texas do not have the resources to write their own curriculum. Another struggle for school districts in Texas is the ever changing nature of our standards. Every time the TEKS are changed, districts have to rewrite their curriculum. The same is true for the timing of the state assessments (STAAR/EOC). The assessments are the means for the state to determine if students have met the goals (standards). For a curriculum to be guaranteed and viable, a district has to have a curriculum (plan) to make sure all of the content and skills are mastered at the time of assessment. Every time the date of an assessment changes, the district has to update the curriculum to ensure there is adequate time for teachers to teach content and for students to learn it. In other words, curriculum is a very necessary, never ending process and expense for school districts. What are these districts to do? Some districts have joined together to write curriculum. Some use the curriculum of larger districts that have the resources to write their own curriculum. Many have purchased curriculum for their districts. There are several curricula available for schools in Texas. One very popular curriculum is the TEKS Resource System (TRS) curriculum, formerly known as CSCOPE. Once plagued by controversy over a few lessons created for instruction (not curriculum), the TRS is now just a curriculum built to be guaranteed and viable for Texas school districts. There are other curricula used in Texas schools. For example, if a student is in an Advanced Placement course, the instructor is required to use the AP curriculum. When Texas was one of the largest consumers of national curriculum, publishing companies used to write curriculum to meet the Texas standards. However, with the adoption of the Common Core standards in 41 states, we are no longer a top priority for these publishing companies. Therefore, most the curriculum published is aligned with the Common Core. Publishing companies haven’t forgotten the Lone Star State. They now retrofit the curricula written for Common Core to meet the TEKS. As a result, much of what we see in Texas, created at a national level, will be considered aligned with the Common Core. The national organizations who write these curricula follow a process to develop their content. The writers collect and analyze standards from all 50 states and attempt to align similar standards found in each state. It is common to find standards in some states that are not found in others. All of this begs the question: How do we ensure that our districts are not using Common Core standards? The answer has already been given. The goal for all of our educators in Texas is to meet the standards given to us by the state of Texas, the TEKS. The plan is to have a curriculum that is guaranteed and viable to meet this goal. Teachers will execute this plan with high quality instruction based on their curriculum. Since a variety of instructional materials are frequently used by teachers to meet their standards, one could expect to see a worksheet, lesson plan, workbook, or instructional guide with the words “Common Core Aligned” printed on the material; especially since 41 states (40 as of Thursday, June 5, as Oklahoma has dropped CCSS) have adopted CCSS and Internet resources with a “Common Core” label are easily found. This simply means that the curriculum writer who developed that content went through a process of aligning similar standards from a particular state with the Common Core Standards. In fact, if a district has adopted a national curriculum to meet the state standards, teachers may have to use instructional materials that are “aligned” with the Common Core. Consider this, humans share 92% of their DNA with mice. But, mice and humans look nothing alike. The TEKS share 68% of their standards with Common Core. The curriculum and instruction in Texas classrooms will look nothing like Common Core, or we won’t meet our goal. In part three of our series, we will examine classroom instruction and the variety of instructional techniques teachers can use to process both standards and curriculum. DISCLAIMER: This blog is the third in a series designed to educate and inform readers on the differences between standards, curriculum, and instruction. These blogs are not an endorsement of Common Core State Standards. In our previous articles we defined educational standards and curriculum. In this article we show the relationship between standards, curriculum and instruction. This beginning article on instruction will provide a general overview. In future articles we will explore specific approaches to instruction. Standards are the expectations, or goals, that are established to drive student learning and mastery of content and grade levels. Curriculum is a method of ordering standards in concise tools for teachers to use to plan lessons and help inform teachers as they create their instruction. Curriculum is WHAT content the teacher delivers to students. Instruction is HOW teachers deliver that content. Instruction is the method or way of teaching students. The standards, or goals, will never be achieved without a guaranteed viable curriculum. But, that is not enough. Without effective instruction, even the best curriculum cannot lead a student to success. Effective instruction is the most critical factor in student success. There are a variety of instructional strategies that have been used by teachers to deliver content to students, making every students probability for success very dependent on the instructional approach in the classroom. Some teachers have stood before their students and lectured for hours and hours to deliver content with little or no student interaction (i.e., Lecture). Other teachers have repeated information over and over again (i.e., “Drill and Kill”), forcing students to memorize endless facts without explanation or discovery of their origin. And some teachers have passed out worksheets for students to complete while the teachers retreat to their desk (i.e., Teacher-Centered Instruction). While many of us have experienced teachers who have used these types of instructional techniques educational researchers have discovered through peer reviewed research and study that these instructional techniques are NOT EFFECTIVE. For example, many of us had to memorize the 50 state capitals during our time in school. While this information stayed with some of us, many people have forgotten over time. Unless you are a geography teacher or a contestant on a game show, have you ever had a need in your life to know the 50 state capitals? Or, would it have been more useful for you to understand why these capitals were chosen? Maybe study the various forms of state government throughout the United States? Or perhaps to think critically about how they were built and the concepts around how they became central hubs for government? Although you may have forgotten the factual parts of those questions, the real skills you would have acquired are the ability to think and process information related to those capitals, which are attributes that employers seek in the workplace. Research in the area of instruction tells us that effective instruction includes a small group environment, working on projects that are designed to push students to think critically. In addition, teachers serve as facilitators of student learning, guiding students through cross-curricular lessons and infusing technology into the instruction where necessary and appropriate. The table below outlines several strategies, their characteristics, examples, and classroom effectiveness. Direct Instruction Teacher-directed, practice and drill Teacher lecture, demonstrations Effectiveness is limited to providing information, step by step skills, and basic knowledge construction. Indirect Instruction Inquiry, induction, student-centered Reflective, discussion, problem-solving, guided inquiry Very effective for problem-solving, life-long learning, student motivation, comparing/contrasting, influence, predicting, summarizing, and analyzing. Independent Study Student-decision making, analysis, self-reliance Student centers, research projects, flipped learning, essays, computer assisted instruction, online instruction Very effective in developing student initiative, self-reliance, self-improvement, and lifelong learning. it would not make sense for a teacher to lecture on the differences between regular and irregular two-dimensional shapes. First grade students are not likely to retain information from a demonstration on an overhead projector describing the differences between regular and irregular two-dimensional shapes. It would be much more effective to provide the students with actual hands-on experience sorting the shapes and classifying the differences on their own, with teacher guidance. Effective teachers analyze the standards and the curriculum to determine the best strategy for their students. Ineffective teachers stick to one approach and choose that approach based on the teacher’s needs rather than the needs of the students. The reality in education is that the game has changed. The game changer is technology. Technology has created access to knowledge that our world has never seen. As such, students no longer have a need to regurgitate the capitals of the 50 states and they no longer need the teacher to drill and kill those capitals. Teachers are no longer the supreme keepers of the information; Google now has the stronghold on that. Facts are free and readily available. However, what Google can’t do is help students facilitate, analyze, synthesize or process this knowledge. They need a teacher for that. They need a teacher who can take well-written standards, use a powerful curriculum tool, and plan research-based instruction to help facilitate a purposeful learning environment for students that will help them think critically about the information that is being delivered. This is learning in the 21st century. It’s not a conspiracy.